India’s metropolitan city, Durgapur is famous for its steel plant. Durgapur is a well-planned city and has a unique ethnic culture, very different from other cities of West Bengal. Durgapur, also known as the “Ruhr of West Bengal” entrusts completely to the entertainment and comfort to its tourist. The city treats the visitors in the best possible way. And everyone who has been to Durgapur has come back with loads of memories and happiness in mind. This is what the city has always aimed at. So, let’s know the city better and its entertainment options that one should definitely not miss by any chance while in the city. Out of all the attractions, the major allurement is the water and amusement park in Durgapur. 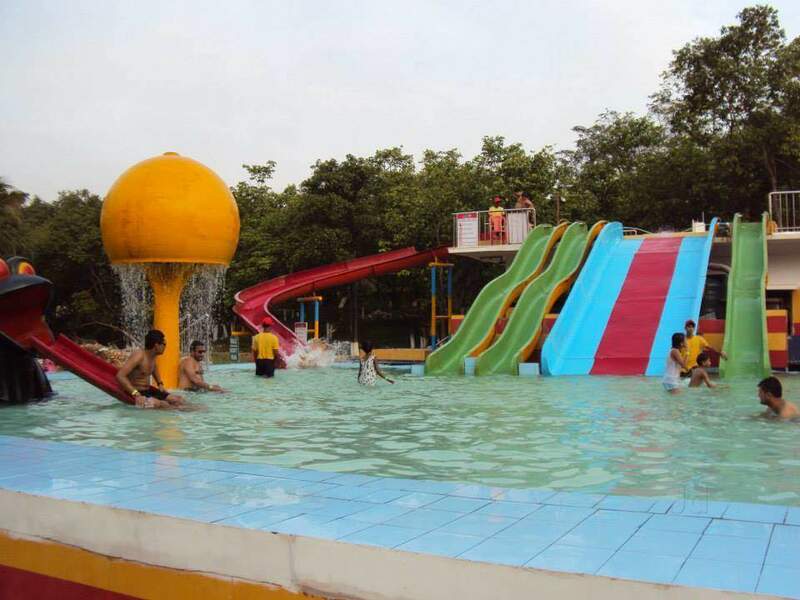 The Anand water park in Durgapur is an ideal place to visit to thrash the summer heat in the city. 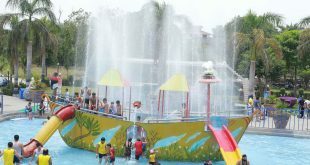 The location of the water park appears to be a bit unusual but is the way it bewilders people, it undoubtedly has excelled in being located here. Situated near to the city center, you can both shop and take a stroll to enjoy a relaxing weekend with your favorite company. Despite being located amid the hustle bustle of the city, the greenery and peace in the atmosphere around will enchant you in and out. 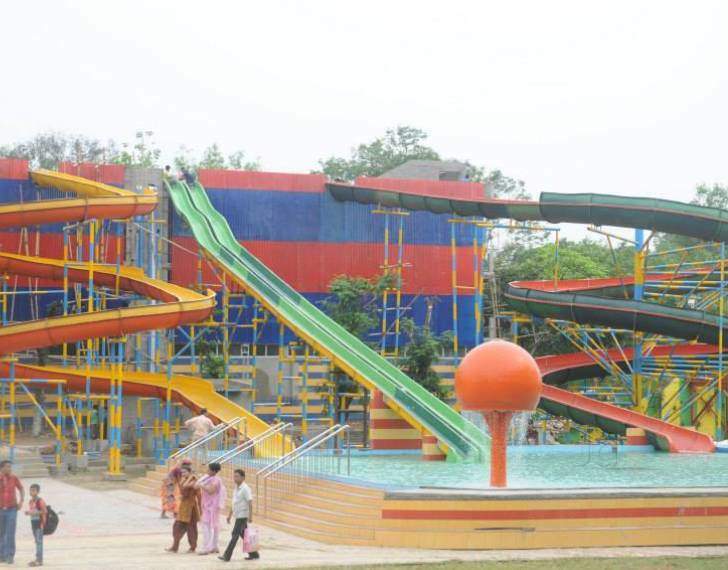 This water park in Durgapur is well-maintained, clean, and decorated with a beautiful theme. 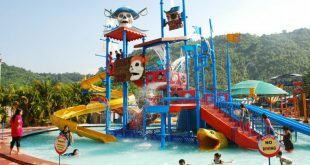 You can start the trip to the water park with amazing water rides. The water body slides are truly exhilarating. Bring out the loud woohoo shout from the core of your heart as you slide down from a great height, with a number of twists and turns, and drop straight into the swimming pool beneath. The multilane water slides are a perfect point to find out who amongst your entire group is the fastest. Then, there are water activities in the pool. 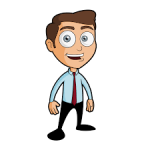 Swim or dive, lie as lazily as a crocodile or take a quick race like a fish, it is totally on you. Water skating and water coasters are a must try. 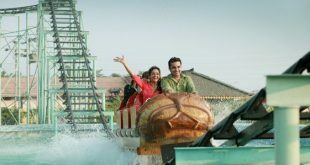 The water rides are not just meant for the adults, there are innumerable rides for the kids too. The kids get an entire zone dedicated to their activities. So, while you can have a lovely time with your friends, the kids can do the same. That’s not all. There are a number of dry rides and activities to try on land too. You can experience the cable cars on a ropeway from a good altitude. 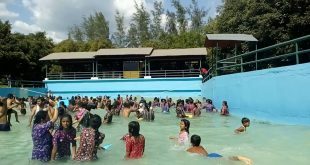 There is a huge pond in the premise of this water theme park in Durgapur where you can relax, take a paddle boat, and a nice romantic trip through the pond with your precious. You can get to spend the special quality time that your sweetheart has always deserved and had been demanding. Steal some moments of your life and devote it to yourself. This is what this water park near Durgapur aims at. You can go through the park boundary on a toy train and bring up the memories of your childhood days. There is an aquarium too. The aquarium has stunningly colorful fishes and other aquatic animals. Huge enough, the aquarium is loved by everyone especially the kids. There is an information board attached to every section of the aquarium for the best declaration of the species you view. The Anand amusement park in Durgapur organizes events quite often. You might just get lucky to find some Bollywood stars or singers performing. Being the best water park in Durgapur, it assures to keep your energy up throughout the time. The DJ plays outstanding trending tracks that will make you groove along. So, get set to show the best moves that you got. The elderly, on the other hand, can walk and feel the freshness in the air. And in case if you are hungry, then you can refill your energy levels at the amazing lip-smacking eateries at the water park. A day is worth spending in the park. Once in, you will never want to leave this place. 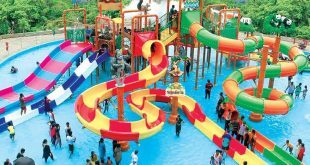 Unbelievable but true, the water park at Durgapur is an entirely different world even if it is situated at the heart of the city. Do come down to alleviate positivity and rejuvenate your aura at this water park. 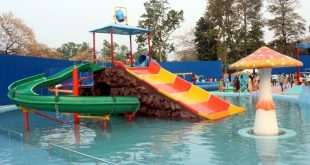 This is without any doubt, the best water park in Durgapur. Durgapur is a small but very colorful city. The life of the people and the culture will take you by. The city is dynamic and full of good vibes. One must visit the city to understand it better. Why wait for any vacation when you can book the tickets right now for the upcoming weekend. 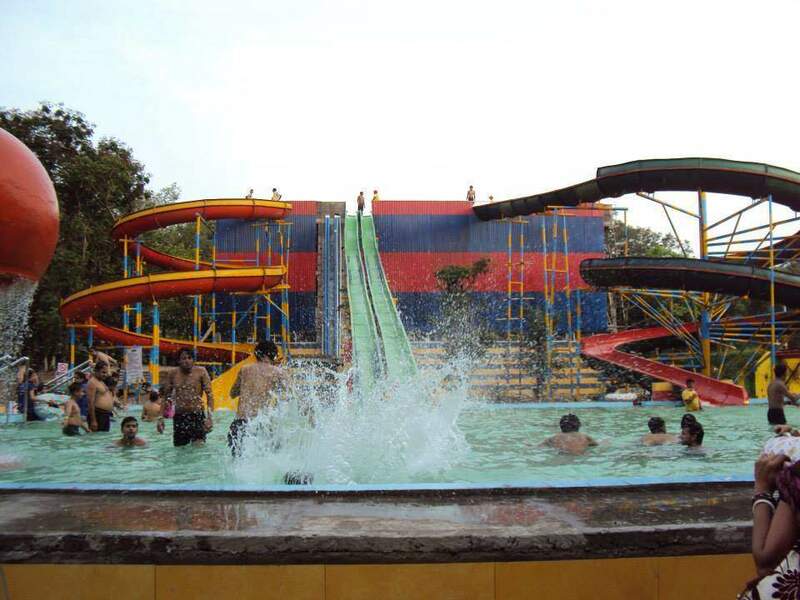 Don’t forget to visit the water park of Durgapur because your trip to the city shall be incomplete without this.